Bullis School impressively had a trio of girls break 8 seconds in the 55 meter hurdles this season including Leah Phillips (7.93), Ashley Wallace (7.95), and Lauryn Harris (7.97) pictured above. They are the only program in the country who had 3 sub 8 second performers in the hurdles this past indoor season. 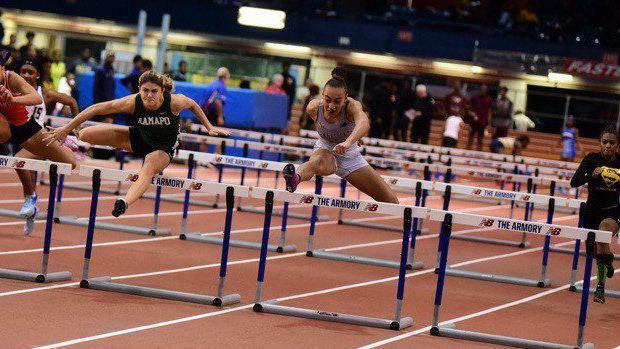 Check out the final top performers in the state of Maryland in the girls 55 meter hurdles for the 2019 indoor season.